If your facility is currently using the online booking system, many of the concepts and steps outlined below will be familiar and deployment should be easy. For those facilities who have not used the online booking system, please take your time to read through this document thoroughly. Here are examples of an integrated gift card purchase form. These transactions are automatically downloaded as gift cards and payments into RGP. There is no additional fee for online gift cards if your facility is already using the Premium Plan. If you already have an existing Stripe account that you use with the booking system, you do not need an additional Stripe account for the online gift cards. For those familiar with the booking system, it will seem very similar and you should be able to get up and running very quickly. 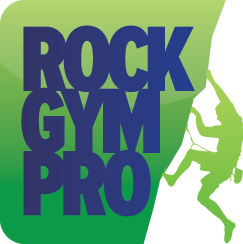 After being purchased, the online gift cards function identically to the existing gift cards in Rock Gym Pro. Online gift cards can only be redeemed within the RGP software - they cannot be redeemed online. This means customers can’t use online gift cards (or any RGP gift cards for that matter) to make online bookings. Online gift card redemption may be supported eventually, but not until later this year at the earliest. IMO - this limitation should not stop a gym from deploying online gift cards as those interested in redemption will find a way to do it, i.e. pick up the phone, etc. If you already have a Stripe account for the booking system - you do NOT need another account. Stripe partial refunds are not supported. If you embed the widget on your website, even though the widget/iframe is secured using SSL, the browsing customer won’t see https:// in the url window and might wonder if the information is secure. If you link directly to the RGP pages they will see the https://. But to repeat: in all cases the widgets are secure as long as you use the exact link provided by the widget. Google has announced that they are ranking pages with SSL higher. The online gift card system is built atop the calendar system, thus you manage the gift card settings within the Calendar application. You do NOT need to be using the calendar/booking system to deploy online gift cards. You just need to use the application to configure your online gift cards. IMPORTANT - set your time zone! Set your facility name, address, website, contact email, etc. The gift card settings should be relatively self-explanatory. You can preview both the purchasing form and the recipient gift card email on the tabs shown below. You can access the website code for linking or embedding the online gift card widget on the tab shown below. Information on placing these widgets on your website is available in the Webmaster Guide to RGP Web Widgets document. The same steps can be used to test online gift cards as online bookings. You can place any browser in TEST MODE and use a testing credit card. Stripe is put into “test mode”. Test mode gift card purchases are delivered to RGP normally. Online gift card purchases are delivered to your local RGP system. They can then be assigned to a customer record using the Online Transaction Assignment window. The purchaser’s details are used to create / assign the transaction to the customer record. A video tutorial is available on how to assign online transactions.